One of the questions we are often asked at Kumulos is what are the challenges app agencies face in 2017? Well, where better to find out than in Barcelona as, once a year, over one hundred thousand people who work in mobile telecomms, handsets and apps descend on the Gran Via conference centre for the spectacle that is Mobile World Congress. In amongst the glitz and glamour of the latest handsets, drones, VR headsets and IoT sensors are the mobile app development agencies who are at the heart of this industry, constantly driving innovation forward with their expectant clients. App agencies don’t just come to Mobile World Congress to win new business, they come to look at new trends in technology and consider how these trends will impact their clients and therefore themselves. I was lucky enough to spend four days in Barcelona with some of the world’s top mobile app development agencies and discuss this with them and, now that a week has passed and the dust has settled, can reflect on the main challenges app agencies face in 2017. While the technology itself may change, keeping abreast of the latest technology is always one of the challenges mobile app agencies face in 2017. Colin Sykes, Digital Account Manager at XDesign who speciliaze in helping clients vizualize big data on a small screen says that, for them, “Educating customers on everything that is becoming possible with big data sets on mobile” is a constant challenge. The Edinburgh based agency has solved what Colin sees as one of the biggest challenges app agencies face in 2017 by holding Design Sprints with clients in order to, as Colin put it, “Fully bake the idea”. The value of such Design Sprints is not to be underestimated and it is therefore no surprise that successful mobile app agencies now have the confidence to charge for a service that, in days gone by, they would have effectively given away for free during the tendering process. The London office of global digital agency Mirum are even offering a free Innovation Sprint as differentiator for prospective clients. But as networks get faster and handsets become more powerful, mobile app agencies have to know what is possible in order to be the trusted advisor for both existing and new clients. The justifiable hype around Augmented Reality / Virtual Reality (AR/VR) and the Internet of Things (IoT) is why keeping abreast of latest tech trends is one the main challenges app agencies face in 2017. For Ross Tuffee, CEO of DogFi.sh Mobile, “Identifying the specific use-case around IoT” is the biggest challenge app agencies face in 2017 “Why should I connect my toaster to the Internet?” for example (other than the obvious use case of course of alerting your personal trainer when you succumb to a couple of slices of toast an hour after your last HIIT session!). 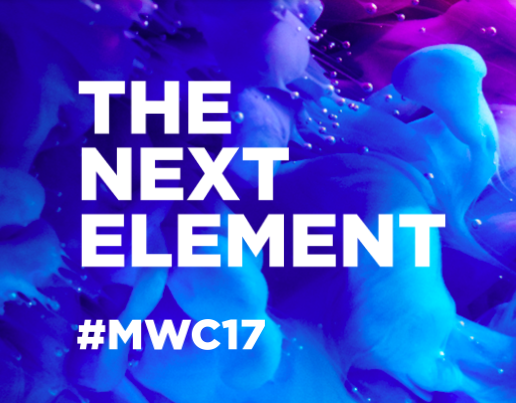 So was attending Mobile World Congress worthwhile for busy mobile development app agencies and has being there helped them solve these challenges app agencies face in 2017? For some, this is indeed an important part of why they came to MWC 2017, and will come back to MWC 2018 next year. Taavi Tammiste, Head of Data Science at the Estonian based, software and product development company Mooncascade. “We don’t just come to Mobile World Congress to find customers, we want to find partners who can help us improve our business”. I went to ask Rory Mudie of New York and London based App Store Optimization specialists Redbox Mobile, if Mobile World Congress had been worthwhile. As he would only answer my question if I agreed to accompany him on a tour of the App Planet exhibition while he was looking for ideas for their stand for MWC 2018, I’ll take that as a resounding “Yes!”. So, while the likes of AR/VR and IoT are technical challenges app agencies face in 2017, mobile app development agencies have very good track record of rising to new technical challenges and also have a solid plan centered around User Research and Design Sprints to guide their customers to the right solution for them. Therefore, are the biggest challenges app agencies face in 2017 the even more familiar business challenges?